Isha Sesay discusses Boko Haram's abduction of the Chibok schoolgirls during the Closing Session. Isha Sesay wants to tell the stories of women and girls who are often overlooked—including the account of the 276 schoolgirls who were kidnapped by jihadist militant organization Boko Haram in Chibok, Nigeria, in 2014. 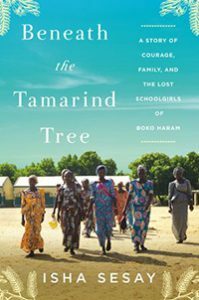 Sesay, the former CNN anchor who broke the news of the kidnappings and won a Peabody Award for her coverage, has written Beneath the Tamarind Tree (HarperCollins, July), the first definitive account of these events. 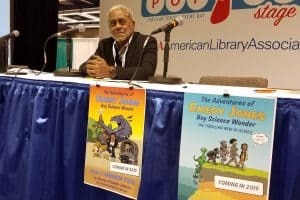 The debut author joined Booklist editor Donna Seaman on stage at the Closing Session of the American Library Association’s 2019 Midwinter Meeting & Exhibits in Seattle on January 28 to discuss her book. “Nobody turned up. They just waited and waited and waited and all they could do was pray,” she said. Of the girls taken, many have escaped or have been returned in negotiations—but 112 of the abducted are still missing. The book includes first-person accounts from survivors and, said Sesay, “gently” handles their trauma. Sesay also said that the search for the girls would have been different if they had well-known surnames or came from wealthy families. “These girls came from such poor homes” in a place where attending a boarding school without power, water, or windows in order to get an education is a “necessity,” she said. Another hope for Sesay is that her readers understand how events like this—and their implications for trade, terrorism, and destabilized governments—affect us all. Still, Sesay was quick to dispel the notion that Africa is continent of people “waiting to be saved” by the US. Sesay capped her talk by discussing her nonprofit, W.E. 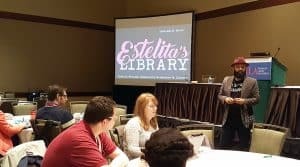 (Women Everywhere) Can Lead, an organization that focuses on women and girls’ empowerment and leadership in her native Sierra Leone; her thoughts on literacy (“If we read more, we’ll have a fuller understanding of the world, and not every garbage tweet will resonate”); and her love for author Toni Morrison. 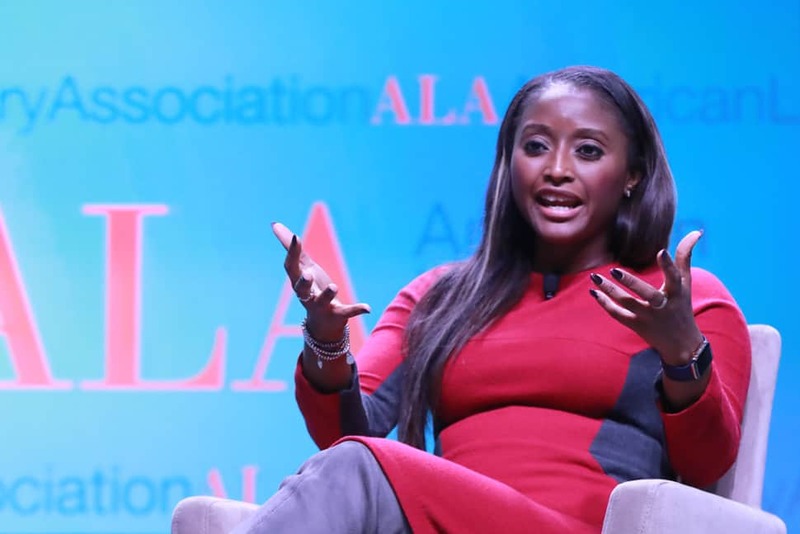 Isha Sesay on being a bystander or an upstander. 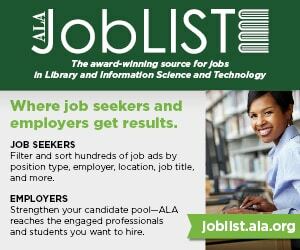 Isha Sesay on reading widely, doing the work. Isha Sesay on Beneath the Tamarind Tree. 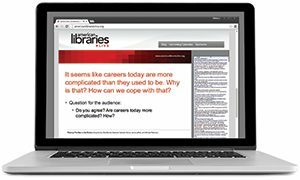 TERRA DANKOWSKI is managing editor of American Libraries.